This is a darling little antique postcard, featuring a happy little Fairy, picking some bright red Cherries!! I think this would make such a Cheerful Greeting card for someone that needs a little lift! Vintage Botanical Fruit Printable – Plum and Peach! Vintage New Year Gnomes! 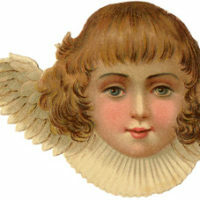 4 Cherub Angel Clip Art – Beautiful! I love fairies! So cute! 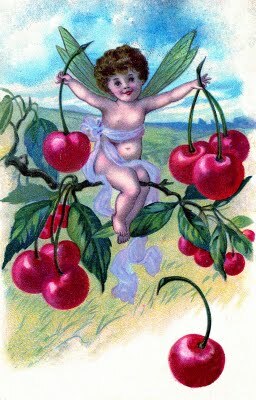 I love the cherries and the fairy! Thanks for sharing.